Please note that Guangzhou has attracted a large community of illegal Nigerian immigrants. This means that if you have a negroid appearance and are in Guangzhou, you should 'Always' carry your passport and identity documents with you at all times! It is such a shame that a few unprincipaled people can make life so unbearable for guenuine visitors to China, but such is modern life. The Nigerian's have done this themselves - along with being responsible for so much unsolicited international spam = it is untrue! To redress the balance, China Expats does have genuine Nigerian friends worldwide. However in Guangzhou, the avarice of a few of thier country's outcast's has tainted the genuine needs of the many. This is not a politically or racially motivated statement, as we don't really care about such things. It is a hard fact of life in Guangzhou, and we are trying to offer you genuine advice for your safety and wellbeing. Ignore at your peril! That stated, Guangzhou is one of the utmost intriguing cities in China, especially politically. They have supported the Central Government for over 2, 000 years, but still retain their own identity, culture - that of the "Yue People", and language (Cantonese is the only other 'official language' spoken in China). 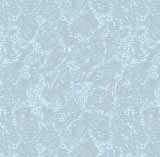 They are never refered to in news bullitin's or weather reports, and are never considerd to be a part of 'Southeast China'. They are very different. How come? Well, this is a very difficult subject to put into words, as Cantonese is mainly a spoken language. The people are "Always Open" throughout history; and we still have to write our definitive history of these great people. 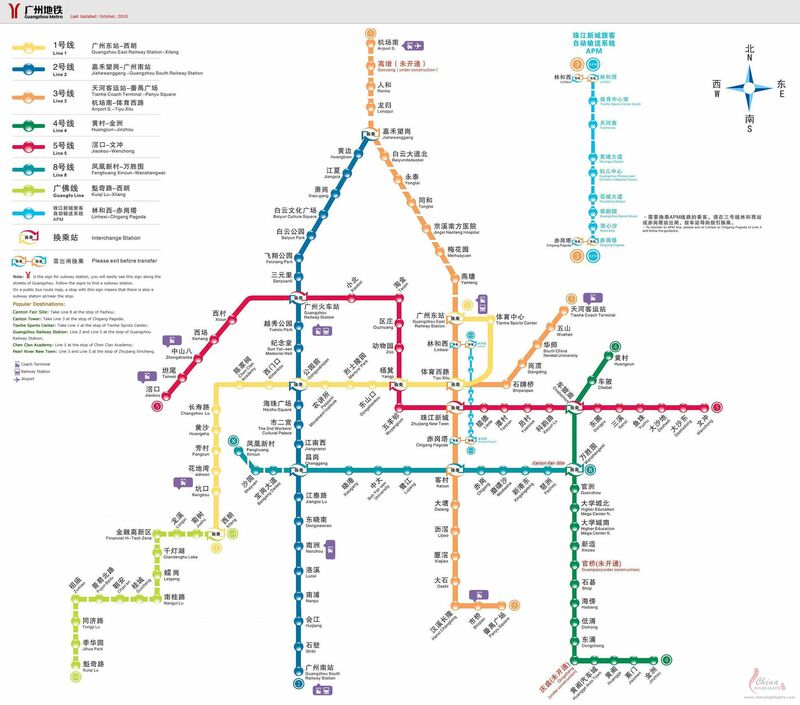 • Guangzhou Metro Map - 2010 version includes Airport, Punyu, Canton Fair and Foshan line - In English and Chinese. Temple of the Six Banyan Trees, situated on Liurong Road, is a world famous ancient Buddhist temple. It was built in 537 in the Liang dynasty during the Southern dynasties (386-581). Flowery Pagoda, built in 1097, is the major structure in this temple. Named for its colourful exterior, the pagoda stands 57 meters high in the centre of the temple; having a bronze column with 1,000 Buddhist sculptures on its top. Viewed from outside, the pagoda has nine stories while in fact it has 17 stories inside. The Nanyue King's Tomb Museum, located in Jiefang road, stands on the site of the tomb of Emperor Wen, the second ruler during the Southern Yue Kingdom dating back to 100 B.C. The tomb was originally 20m under Elephant Hill and was discovered in 1983. More than 1000 burial objects were excavated, among which are a chariot, gold and silver vessels, musical instruments, and sacrificial human remains. People like to describe the natural beauty of Guangzhou as the "pearl sea and white cloud". White Cloud Mountain is a park with natural hills and waters, ideal for sightseeing and as a summer resort, with a history of development of over 1,000 years. Described as the premier spectacle of Guangzhou by some brochures, the site is also widely known for the well-ordered traffic conditions. In good weather, travelling there is really rewarding and peaceful for those who choose to walk. In recent times new tourist attractions have been created and these include facilities for water sports, Zoo, a golf courses, botanical gardens and a sculpture park. Yuexie Park is Guangzhou’s biggest stretch of greenery, encompassing over 90 hectares of sports facilities, historic monuments, teahouses and shady groves. Besides a number of artificial lakes and a huge swimming pool, the park is renowned for its Zhenhai Tower and the Sculpture of the Five Rams. Zhenhai Tower stands on the top of Yuexiu Hill in the northern suburbs, the 28-metre-high five-story tower - also known as the Five-story Pagoda - is a magnificent building, commanding a bird's-eye view of the whole city. The tower now houses the City Museum, with exhibits, which describe the history of Guangzhou from Neolithic times till the early part of this century. British and French troops occupied the tower during the Opium Wars on account of its strategic location. The 12 cannons in front of the tower are from that time. The Ancestral Temple of the Chen Family was built between 1890 and 1894 during the reign of Emperor Guangxu of the Qing Dynasty, and is the largest, best preserved, and best decorated ancient architecture existing in Guangdong province. The buildings are of traditional Guangdong style, and the temple is especially renowned for its beautiful decorations. Inside the temple, historical figures, legends, and scenes are represented in many art forms, including woodcarving, brick carving, and pottery carving, stone carving. In 1986, the State Council designated it as an important cultural relic. The temple now is the site of the Museum of Guangdong Folk Arts and Crafts.